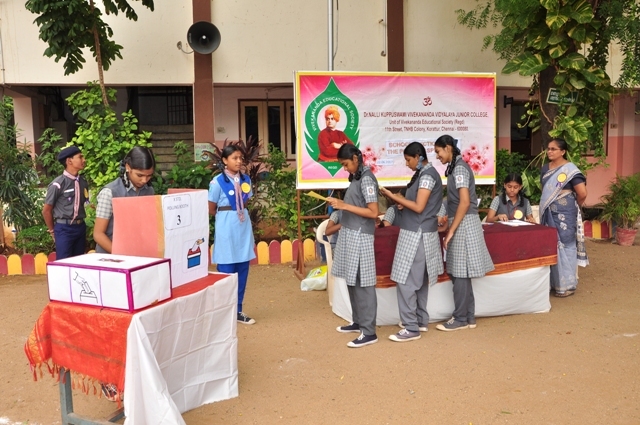 School Election for selecting Asst.School Pupil Leader was held in our school premises. Sri. P. Ganapathy, Managing Director, M/s. Continental Thermal Engineers Pvt. Ltd. was the Chief Guest. He addressed the students on the importance of Election. Smt Prema Mahadevan, Education Officer also witnessed the programme. Smt. D. Maheshwari briefed about the Election Commission followed by this voting commenced. VIII to XII Std. Students Participated in casting the vote. XI Std. Students were the contestants. (4 boys and 4 girls). MATHEMATICS ABLE CLUB conducted an activity for VI standarad students on 23.6.2017, Friday. It was held in the presence of the middle incharge Smt. G.Devika. The activity started with prayer. Welcome address was given by the president of the club S. Balavignesh of XI – B. 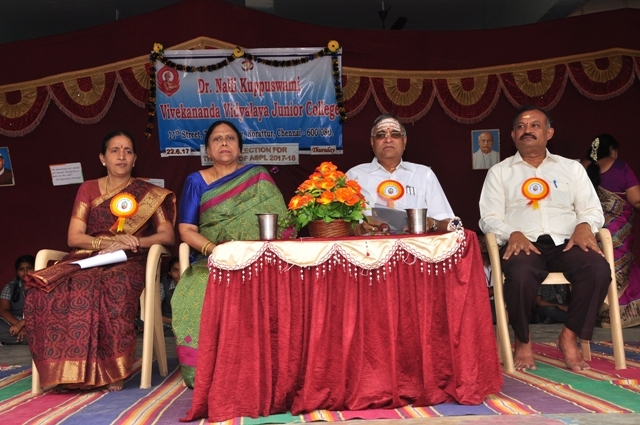 Vice president Sri Ram Gokula Krishnan of XI – B conducted Quiz competition. There were 15 participants. The teams were named as Aryabhatta, Baskaracharya, Chanakya, Dattathreya and Euclids. In each team there were three participants. After the activity, the results were announced. Baskaracharya team got the second prize. Aryabhatta team got the third prize. A variety of activities are being held by our English Club (Tourlime) throughout the year to provide our students with a language-rich environment and to use English purposefully outside class. The main aim of this activity is to kindle the communicative skill among the students. The jumbled sentences of story were given to students. The students have to read the sentence and frame the sentence with the meaning full story. Student’s participated enthusiastically three groups were selected and awarded prizes in the morning assembly. The Picture description helps students acquire new vocabulary and practice pronunciation Pictures are a great supplement to traditional teaching methods. Picture description activity was conducted for student of class IV. 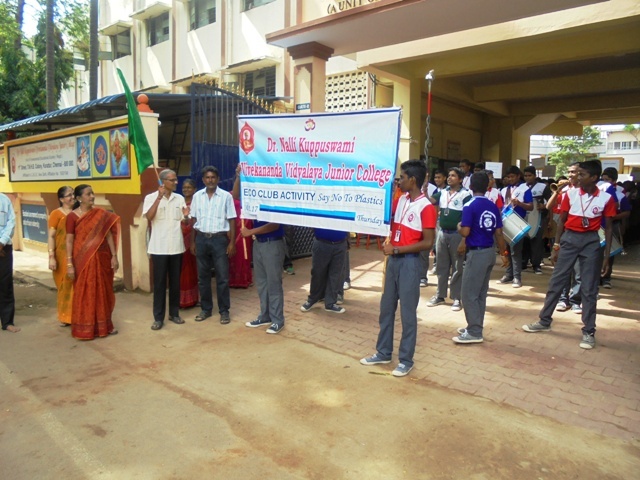 Students participated actively. Spelling bees help students improve their spelling skills and increase their vocabulary. 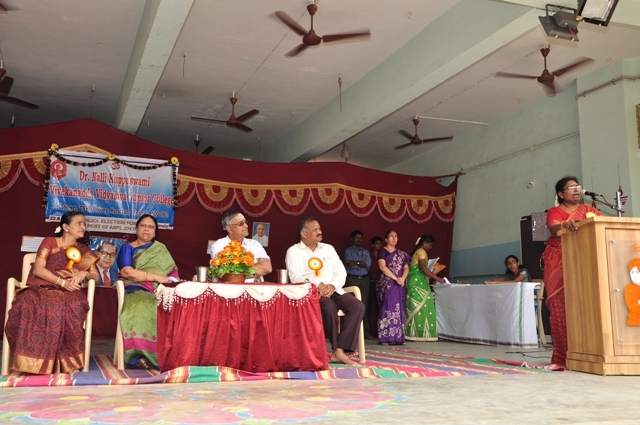 Spell bee competition conducted for Class III-Students. Paper Presentation for Hr.Secondary students was conducted as a part of English club activity in the topic Fiction. 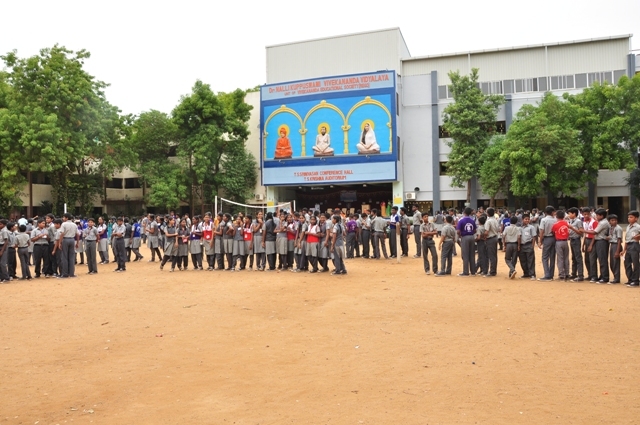 Word Build activity was conducted to III-Std Students. Word building is a crucial step between knowing the letters of the alphabet and being able to write. The main idea behind word building game allows children to use hands on materials to experiment with arranging letters in different ways to create simple words. Van Mahotsav, annual tree-planting festival, is being celebrated in India from July 1 to 7 by planting new tree saplings. The festival was started in the year 1950 by the Ministry for Agriculture. Every year, under the patronage of various state and central governments, millions of saplings are planted all across India during the week. As part Vanamahotsav, Eco club members played a skit to create the awareness regarding the afforestation. 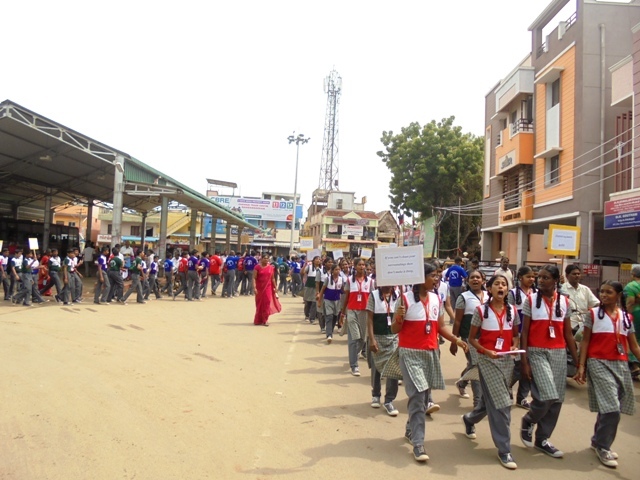 As a part of Eco club activity IX std students went for a rally to propagate about safety of environment. Placards were prepared on “Say No to plastics”. The rally was flagged off by Sri. Velayudham Kutty, Sports Director, All India Vidhya Bharathi.